For Deamhan, revenge is the best dish of all. In 1840s Paris, vampires aren’t just at the throats of humans. Split into two warring factions, Dorvo vampires wage war against the Deamhan, their paranormal cousins created by dark magic and who feed on the psychic energy of their human victims. In this strange new world, Remy, a bourgeoisie, is sired as a Deamhan by Julian. But the intoxicating rush of becoming a powerful psychic vampire is soon eclipsed by the presence of Ruby, a beautiful yet elusive Dorvo vampire. Betrayed by his own, Ruby feeds his undesirable urge to have his revenge against Julian and the rest of the Deamhan. But he doesn’t know if he can trust Ruby. She may have given him his freedom, but she’s still the enemy who has vowed to vanquish the Deamhan, the very same Deamhan that betrayed him. Now it’s up to Remy to decide who to trust -- and who to destroy. 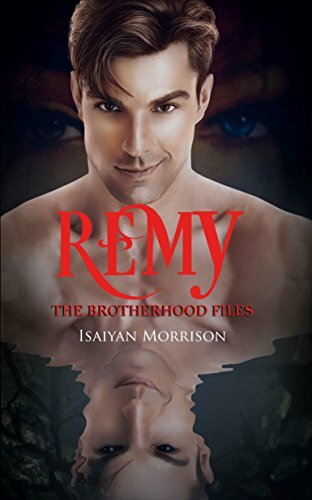 In Remy, The Brotherhood Files, author Isaiyan Morrison presents a paranormal urban fantasy about fractured relationships, mistrust, and forgiveness. Here in the City of Love, it’s anything but, as Remy’s caught between two warring sides who both want him gone. Will his desire for revenge cloud his judgment? Or will he figure out who he can trust once and for all? In this wild journey from the graveyard and through the dark alleys and cobblestoned streets of Paris, Remy is both hunter…and prey.